Hi, Y’all! I have a treat for you today on the blog. 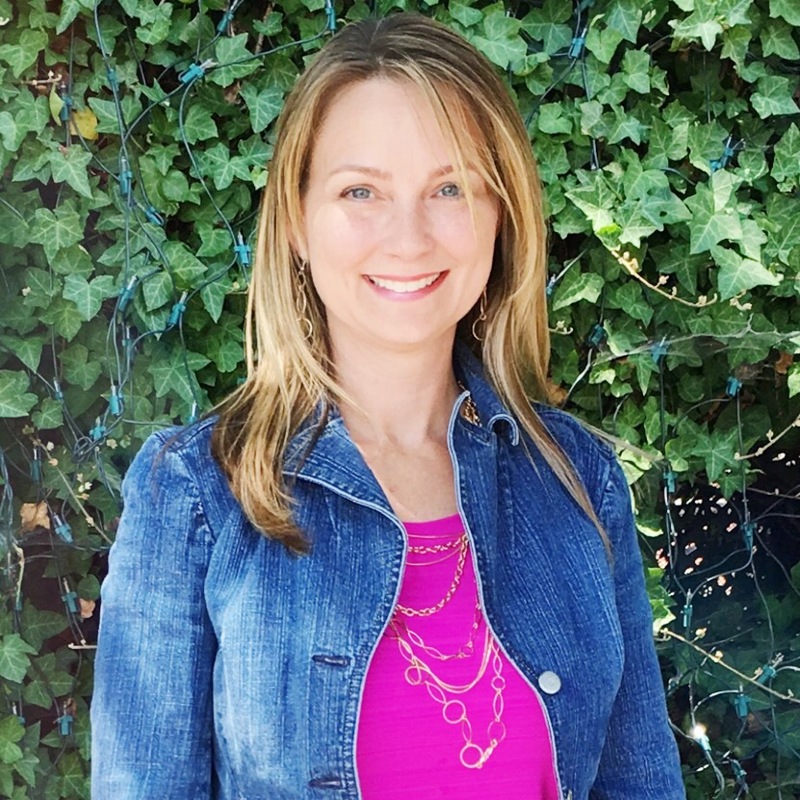 I am happy to introduce you to a fellow creative entrepreneur who knows her stuff when it comes to copywriting for your website. 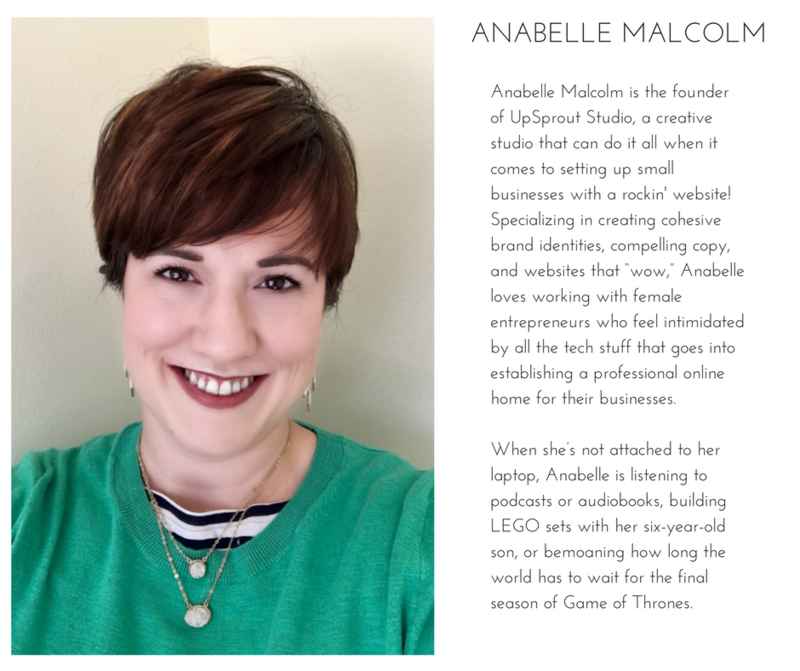 Anabelle is a website designer, copywriter, and branding consultant she helps female entrepreneurs spruce up their online presence so her clients feel confident and at ease with technology. We have teamed up to bring you valuable content that will help your brand shine brighter. 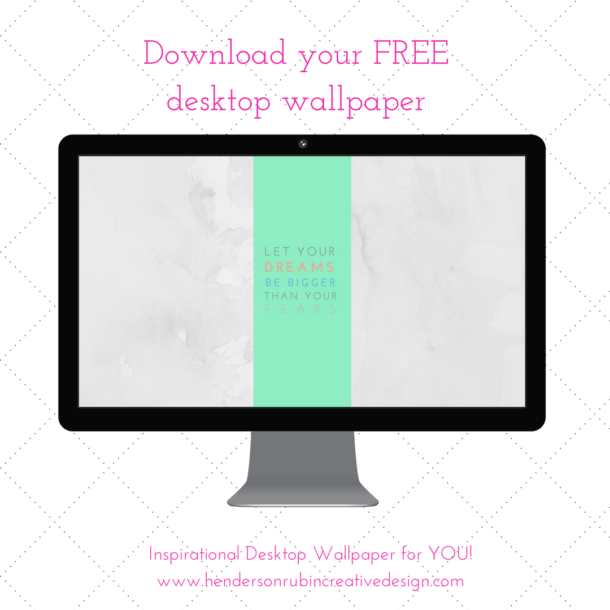 I will be on her Blog as a guest writer to talk about Color Psychology and Your Brand tomorrow. Without further ado, please welcome Anabelle from UpSprout Studio. You may have never noticed it, but I guarantee you don’t read websites like you’d read a book or magazine. As the internet has evolved, copywriting for the web has evolved, too – and the same rules don’t apply. So how do people read websites? That means a lot of skimming and not much in-depth, close reading. Website visitors generally read (most) headlines, but the body copy is often left out. Also, most people jump around from section to section, often not reading the site “in order” as you’ve carefully laid it out on the screen. Save your details for the fine print. 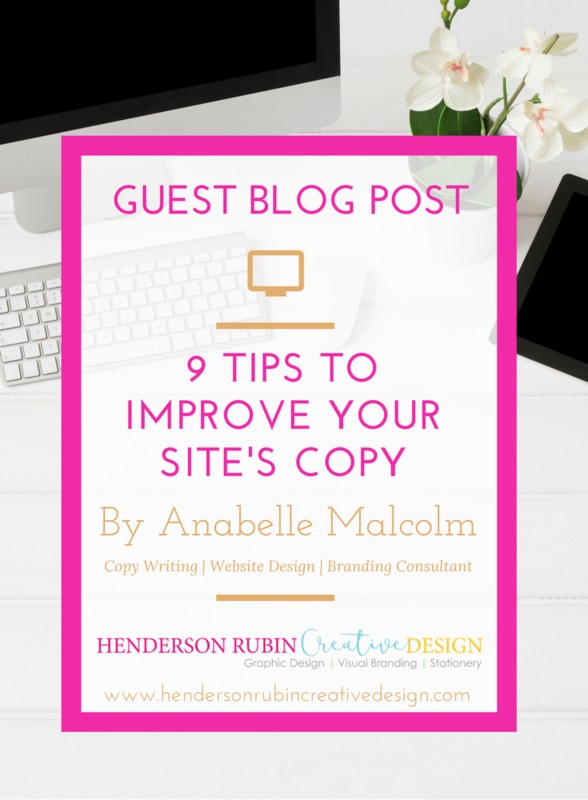 My top overall tip for writing your website copy? FORGET THE “RULES” YOU LEARNED IN ENGLISH CLASS. This pains me to say, seeing as I’m a former high school English teacher, but it’s true. The style of writing you learned in school is NOT the style of writing you need to adopt as a copywriter. Take those writing conventions you learned and Throw. Them. Out. 1. WRITE THE WAY YOU SPEAK. Yep, kids . . . it’s time to ditch the formal voice and write exactly how you’d sound in real life. You’ll probably be surprised at how hard this is. Those high school writing conventions were really drilled into our heads! But with practice, you’ll get better and better. One easy way to check if your writing sounds like you: Read your writing aloud. Does it sound weird? Are there places where you stumbled to get the words out? Go back and rework those sections until everything comes out of your mouth smoothly. You should sound like you’re having a casual conversation with someone else. 2. FORGET CLEVER WRITING – CLARITY IS KEY. Look, I’m a writer. I love playing around with language, using literary techniques such as alliteration, assonance, even puns. But that kind of writing fun is of secondary importance on the web. Above all else, your writing must be CLEAR. If you can get away with fun stuff while remaining clear, awesome! Do it! But if it muddies your message, delete delete delete. 3. CATCH THE ATTENTION OF SKIMMERS. And how do you do this, you ask? Simple – by using headlines, bullet points, and bold or italics to emphasize your most important points. 4. EACH PARAGRAPH = 3 SENTENCES, MAX. Again – ditch the old-school writing formula! You want to break up your copy so it’s easier to scan. If you’ve got a longer paragraph, look for how you can split it into two or three separate paragraphs. And guess what? One sentence — or even one word — “paragraphs” are totally acceptable! Use them for emphasis. They’ll catch the eye of your site visitors simply because they’ll stand out. 5. BREAK UP LONG SENTENCES. This goes hand-in-hand with breaking up long paragraphs. Look for conjunctions in your longer sentences – words like and, but, because, or, and so — as natural breaking points. Note: Not all sentences will sound better split up. Use your judgment. 6. WRITE IN SECOND–PERSON VOICE. You want people to imagine themselves as the subject of your writing because after all, you’re writing for them! Make it easier by using “you” a lot. Your readers will feel like you’re speaking directly to them ← you want that! 7. WRITE IN PRESENT TENSE. Again, you’re writing to/for your audience, right? Make it easy for them to insert themselves into your writing by using present tense for the verbs. They’re coming to you for a solution to their problems, so your writing should reflect that those problems are happening now – because they are! And your solution is happening now, too. This is a subtle psychological “trick” to prod potential clients into taking action NOW to work with you. 8. WRITE IN ACTIVE VOICE. This tip cleans up your sentences and makes them more direct. Active voice also sounds more boss, and I assume you want to sound boss. Note: It was really hard for me to come up with a passive voice example because I’ve gotten so used to writing in active voice! If you implement this tip in your own writing, it will become second nature for you, too. The easiest way to eliminate passive voice is to go back over your copy and find any instances where you used a form of the verb “to be” (am, are, is) followed by another verb ending in “–ing.” Then delete the “to be” verb, and make the “–ing” verb present tense. Voilà! Active voice! This is the one thing from high school English classes that I want you to keep. PROOFREAD EVERYTHING. Then proofread it again! Typos and other mistakes tell readers you are sloppy and/or don’t care about details. That is NOT the impression you want to give your potential clients! Make sure your technique is flawless. Your website visitors will notice. There you have it, folks. 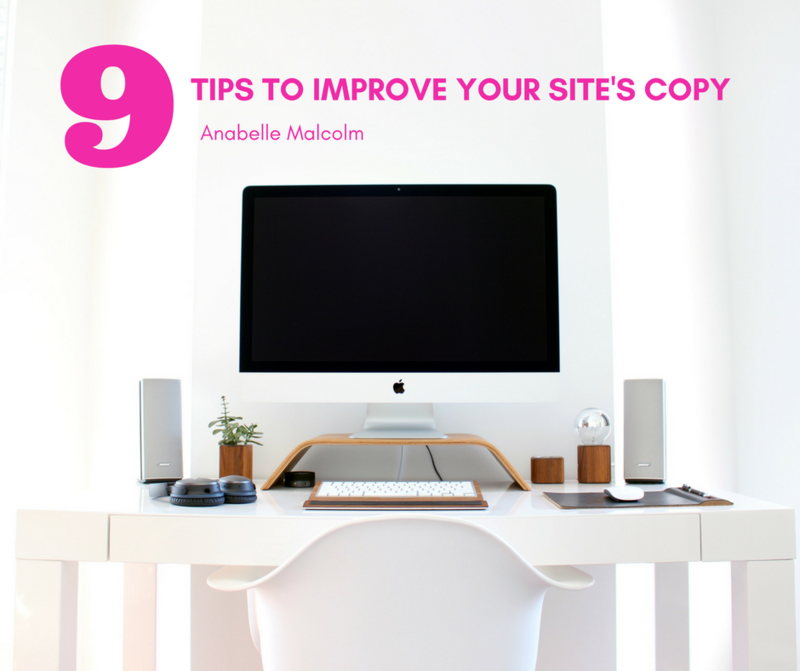 Many thanks to Lisa for giving me this opportunity to share my top 9 tips to improve your site’s copy! I hope this helps you out! Got questions? Leave them in the comments and I’ll get back to you! You can find out more about Anabelle and her services by going to www.upsproutstudio.com. I love these tips! I’m going to go through my website and make some changes. Thank you for this.